Greenland, the biggest island on our planet, is a land of extreme conditions. 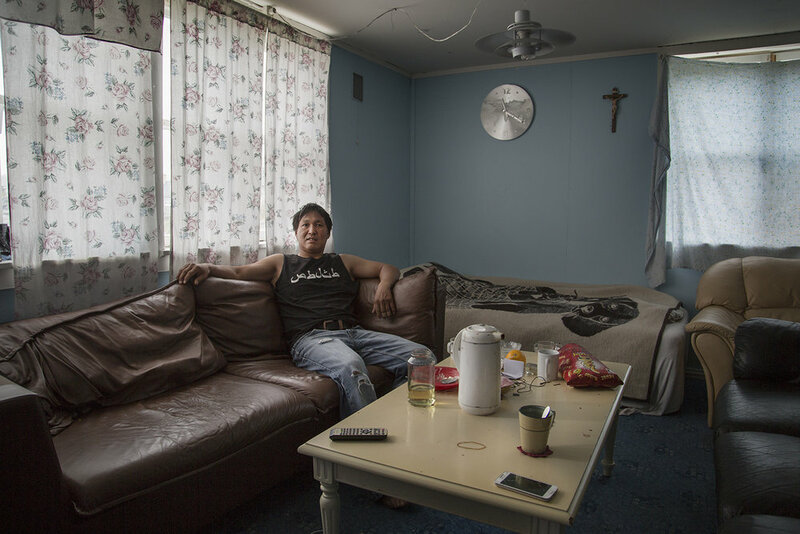 It is the most sparsely populated state, with unemployment rife, the highest suicide rate in the world, alcoholism and exodus, all making up parts of its character. A land where life is ruled by nature. 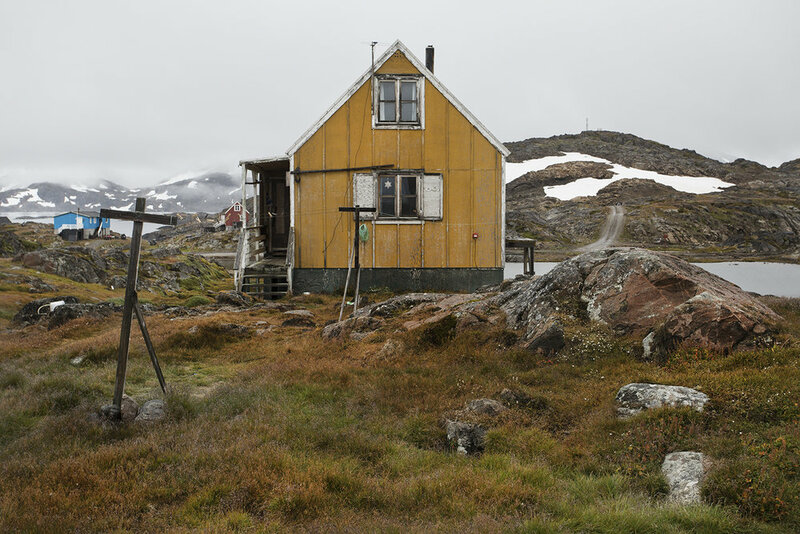 I decided to focus on one particular village named Kulusuk, a small isolated island settlement, in the southeast of Greenland. It is only 8km (5 miles) from north to south and 11km (6.8 miles) from west to east, with its population being less than 300 people. 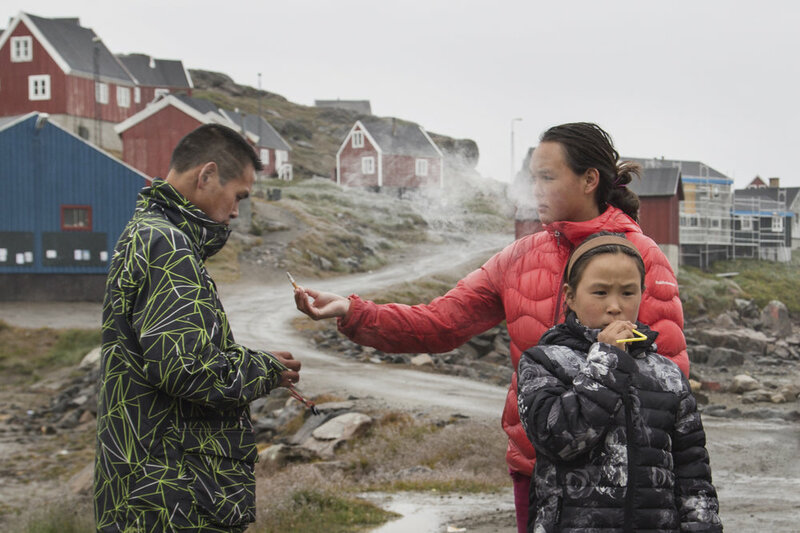 The Inuit have been inhabiting this island since the early 19th century. 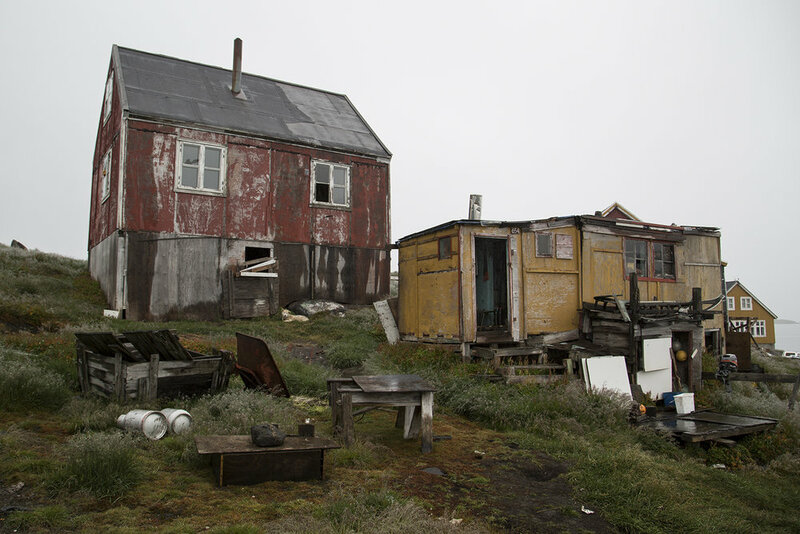 Most of the inhabitants live in isolated settlements on the coastline, with limited job opportunities. People depend directly on nature through hunting and fishing, but more on the financial support of the Danish government. As a result, people have lost putting any effort into their survival and instead find themselves in depression and alcoholism. Difficult weather conditions make life more difficult and cause the fact that people stay in their homes. People depend directly on nature through hunting and fishing, but these days more on the financial support of the Danish government. As a result, people have lost putting any effort into their survival and instead find themselves in depression and alcoholism. 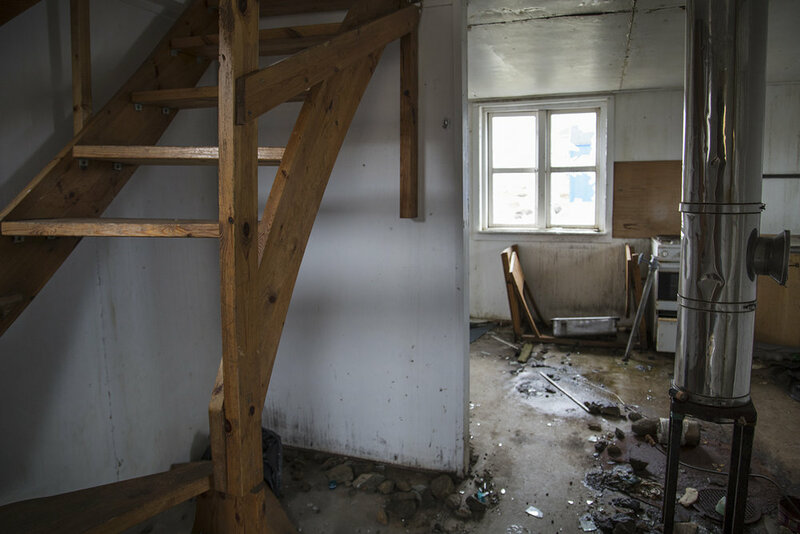 Between the inhabited houses you can find many abandoned empty houses. 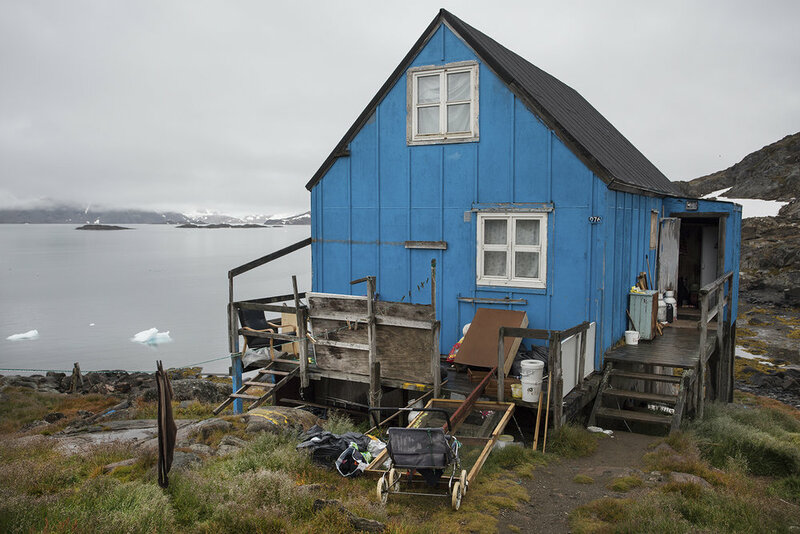 Around the village named Kulusuk in Greenland are several husky dogs, and even a domesticated wolf, all on leashes. In winter months these dogs are used for sledding and are the main transportation. During the other months the dogs are in charge of watching the houses. The pack produce a unique whining sound, which is part of the village at all times. Children play outside while many adults stay in their homes and are captivated by alcohol. 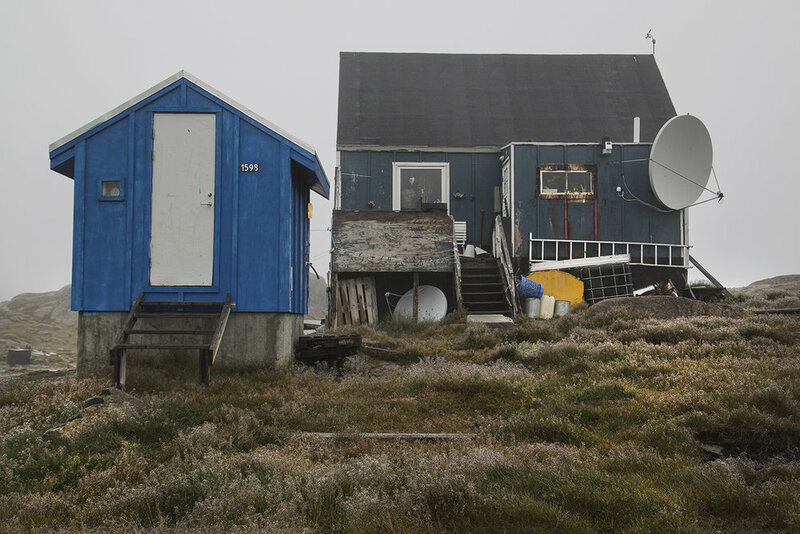 The village is served by one communal all-purpose store named Pilersuisoq, with an integrated post office. Around the town are several husky dogs, and even a domesticated wolf, all on leashes. In winter months these dogs are used for sledding and are the main transportation. Seal meat is the main food for all the dogs in the village. Once it was an important food product of the villagers, now they have access to food products like instant nuddles and other preserved food which is part of import to Greenland. Walking through the small village many empty cans of beer and bottles of wine was what caught my eye, behind the houses, next to the houses or in the pre entrance area of many homes. 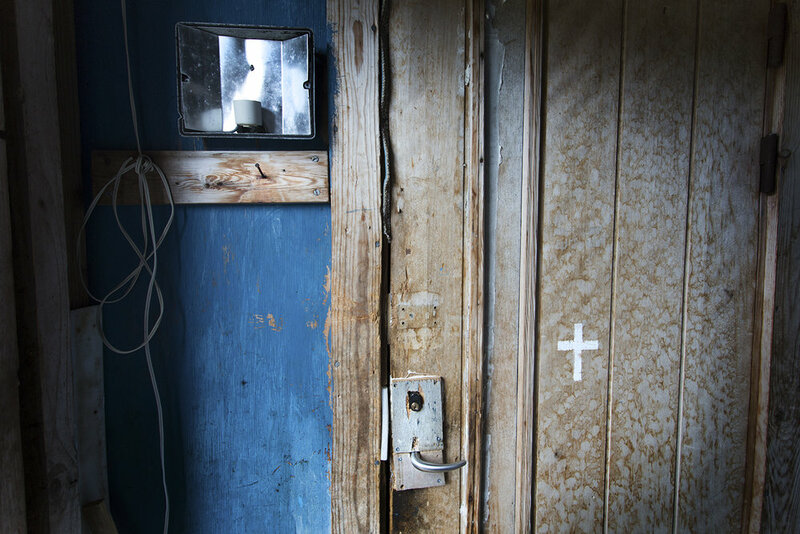 Many abandoned houses shape the village´s image, people leave to find jobs and a different meaning of life. "It is difficult to hold young people only with traditions, the world outside the village attracts more than ever, " said an older villager. 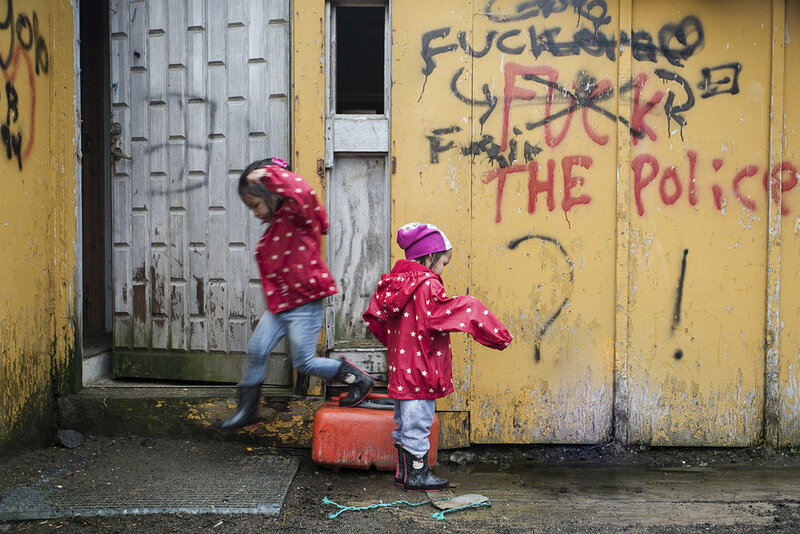 This small little village has an additional problem without a conceivable solution. Once it had a small garbage incineration plant, but after consumerism reached even this small isolated part of the world more waste is produced than this little incinerator can handle. Incombustible waste amasses around the incinerator and, through the years has become a massive problem of the small isolated village. Behind the village down the hill, a huge sinking mountain of trash is leaking into the open ocean. Dead seal bodies floating in the sea, conserving from the cold sea. In the past, people depend on the sea and the fishing, these days of abundance make the catches worthless. The cemetery is located southeast of the village center. No names appear on the crosses in honor of the Inuit tradition that the name of the deceased is passed on to the next generation.